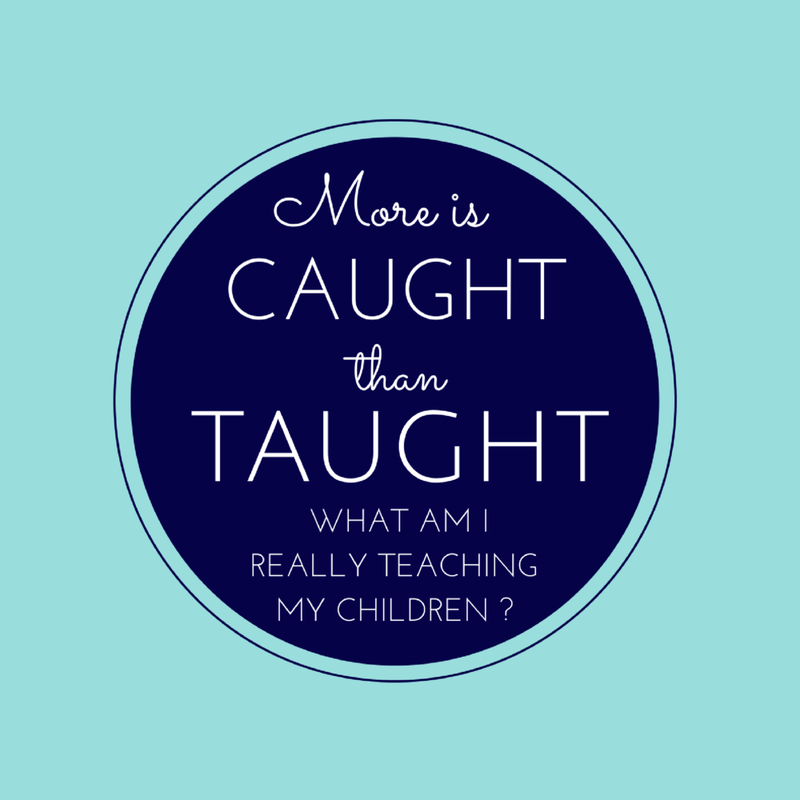 More is caught than taught: what am i really teaching my children? One of the things that has been convicting me on my mama journey is this thought: "More is caught than taught." I have known this truth for a long time but was reminded of it recently through my two junior high-aged daughters in a couple of different ways. Each morning, just like you, I wake up and go about my day. Doing all the things. Momming, cleaning, comforting, disciplining, cooking, driving, exercising, talking on the phone .... all the things we moms do each day, every day, without really thinking about it. Every day kind of looks like the one before and the one after, but then...God has a way of waking us out of our fog and teaching—or reminding us of—a valuable truth. I was first recently reminded of that saying, "More is caught than taught," one day, when a teenaged girl from the kids' school popped over to have me cut her hair. (My fancy salon setup consists of a chair placed in the middle of the kitchen and a hair cape.) To my surprise both of my girls snuggled up on the kitchen eat-in bench and sat unmoving and fixated on this "big" girl's every move and word. It is the quietest my girls have been in our home in a loooooong while. They both just sat there taking it all in. It struck me, and reminded me, how much "littles" look up to "bigs." It also reminded me that although I am not a cool, cute high school girl, I am still my girls' constant "big." My little girls look up to me, observe and take in what I do and how I do it all day, every day. The second time was a "call out" by my girls. I had just shut the door from chatting with one of our elderly neighbors and turned around to see those two sets of brown eyes staring at me. They giggled a little and said, "Mom, whenever you talk to someone at the door you talk so Southern and sweet. Then you turn back to us and say in a "blah" voice, 'OK kids get back to our chores please.'" It was true. Here I was slathering mere acquaintances with sweet honey tones from my mouth but not treating my kids to that same sweetness in tone and attitude. And they are the people I love the most! It was a good "call out"... a sobering healthy "call out." You see, they were observing and learning. How am I going to teach them to "speak life to each other, use your kind words first always, be encouraging even if you're joking, look at my eyes when you talk to me, love your brother /sister well..." all the things I say over and over daily to my kids if I, as their mama, am not also holding myself to that same standard? Now don't hear me saying that this should be an all-the-time-24/7-sweet-talk thing. There is a definite time for a "mommy tone" in our kids' lives, BUT what is my daily interaction with my kids layered with? It made me stop and think, repent and realize, the importance of being intentionally sweet to my kids in action and speech. They learn when they are telling me something and I'm nodding and texting on my phone at the same time, no eye contact involved. They learn when I choose social media over a game, reading, or playing outside with them. All of this is to say: Stop this week and do a quick "call out" on yourself. 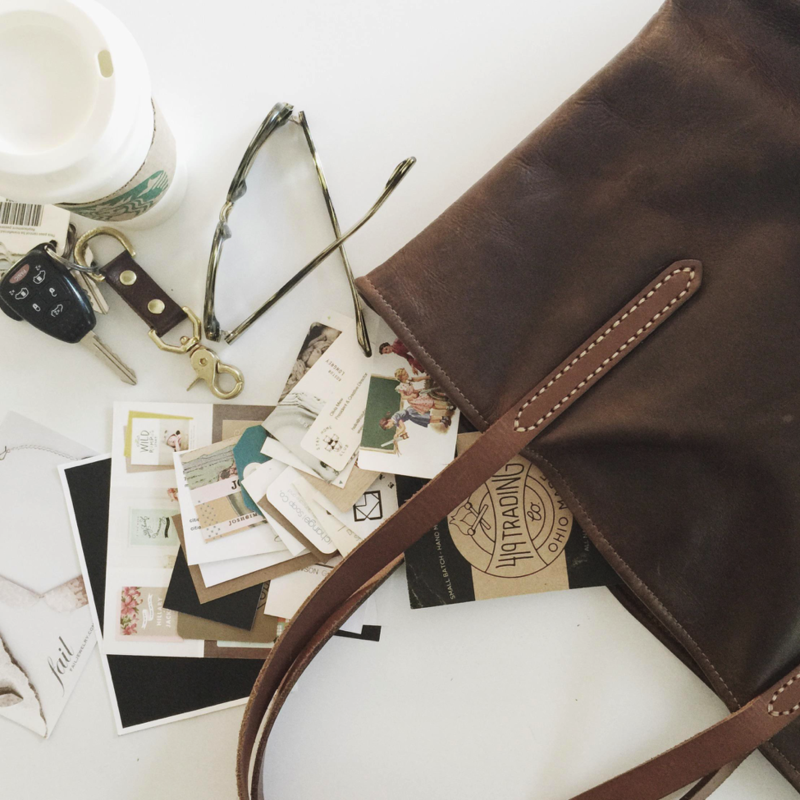 See what needs to be weeded from your life in this mom season. Intentionally determine what convictions you want your kiddos to be picking up, because how we live as mamas on an everyday basis is what they really see and learn from. Now the beauty of this all, is that it has been a sweet reminder of my intense, daily need for Jesus. I am a sinner that messes up, and my kids (who are also sinners) see that too. That's not a bad thing! But, they also get to see a God who lavishes me, and them, with his love and grace every time we do mess up. They get to see a mama who has to stop and apologize to them for being grumpy or angry and we remember together that Jesus paid it all and gives us a clean slate every time. Thank you Lord! So the good news in all this is that just because more is being caught then taught doesn't mean we have to walk a perfect tightrope of right choices. It means, our responses in those mess ups and in our daily small choices, is what our kids get to "catch on" to; that a life filled with a relationship with Jesus brings joy, hope, peace and trust in the only Someone who never messes up. It's us being prayerfully dependent upon God and not our own self sufficiency and learning to "pray without ceasing" I Thessalonians 4:17. So why not take a moment this week to intentionally think through, What is being caught by my kids in my life that might need tweaking? Take some minutes to be before the Lord and ask for his help to change and grow in those areas. Over time, He will patiently and lovingly change you from the inside out, just as He promised. 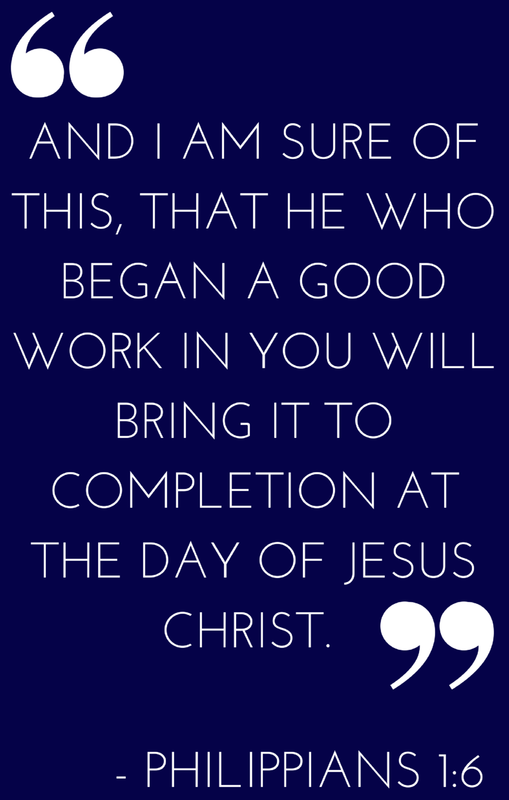 And I am sure of this, that he who began a good work in you will bring it to completion at the day of Jesus Christ Philippians 1:6. What a beautiful promise for mamas (and their children) who daily need this hope. Posted on June 28, 2017 by Heidi Wolf and filed under Building Your Family and tagged encouragment parenting. A good friend recently gave me the book For the Love by Jen Hatmaker. She writes (and I’m paraphrasing) that one of the effects of social media is to show you the best side of everyone, all at the same time. Even though no single person possesses all of those skills, it feels like everyone is good at everything because all of that diverse talent is being paraded in front of you simultaneously through a news feed. And consequently, it feels like you should be as good at everything as it seems everyone else is. 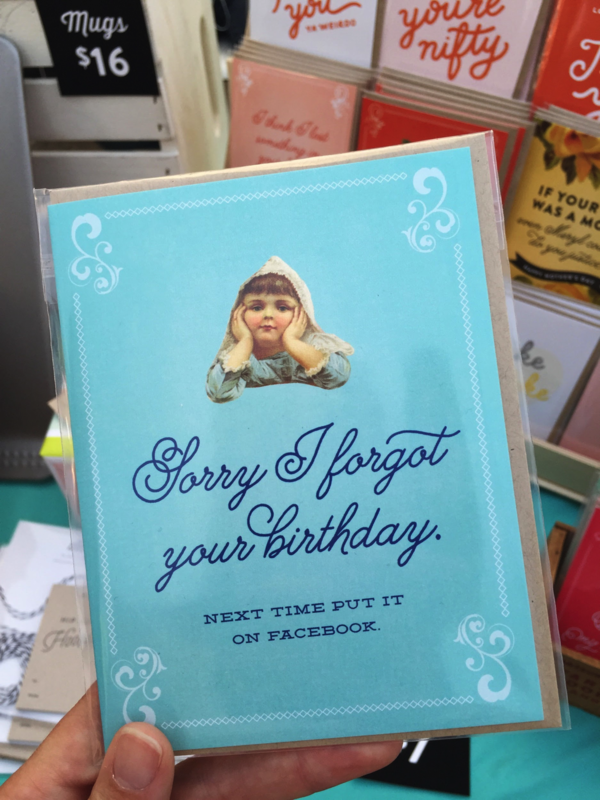 Social media is dishing up a regular helping of unrealistic expectations, with a huge dish of disappointment for dessert. This was an eye-opener for me. Of course! I can’t be good at everything. Even if it were possible, there wouldn’t be enough time in a day to physically execute all the things I was good at. It’s OK if I am awesome at arranging accessories on a mantle and totally stink at homeschool crafts and organic food shopping. It’s OK if I work to make my strengths even stronger and leave my weaknesses to someone who’s better at them. There is a lot of freedom in accepting this. Did you know that Abraham Lincoln routinely walked 20 miles to borrow a book? Poor and with little access to formal schooling, he was determined to educate himself. You might not be able to hand your kid the world on a silver platter, but it turns out, he can still grow up just fine. He might even be a little better off because of it. A big way this comes up in my circles is “lessons.” Karate, horseback riding, gymnastics, art, dance, piano...you get the idea. It feels like other kids are doing it all, and we barely have the money (or the energy) to choose just one. It panics me sometimes, you know? I needed a reminder that it’s going to be OK. Abraham Lincoln didn’t have a soccer team or a black belt and he became the President. And more importantly, a good man. 3. YOU HAVE A HOPE AND A FUTURE. Did you read the article that Steph wrote a couple weeks back? That rocked my world. I had no idea I was regularly buying into that lie. My son just turned 9, so I’m at the half-way point with him. It’s amazing how quickly we turned the corner from little-kid problems to big-kid issues. I had begun to despair: “If he’s doing this at 9, what horrors will we witness when he’s 13?” Thank you, Steph, for telling me how ridiculous that logic is! I am now thankful for these things coming to light at an early age, so that we can teach, correct, love, and counsel now, and experience the fruit of it later. 4. PEACE IS FREE. AND IT’S IN YOUR PURSE SOMEWHERE. Lots of “mom advice” starts and ends with “me-time.” I’d like to suggest that A) No one has time for that! and B) It’s usually expensive. The implication is always that we need a spa, a pedicure, a dinner with friends, or some other outing that starts with us needing a babysitter and ends with us buying something in pursuit of peace. 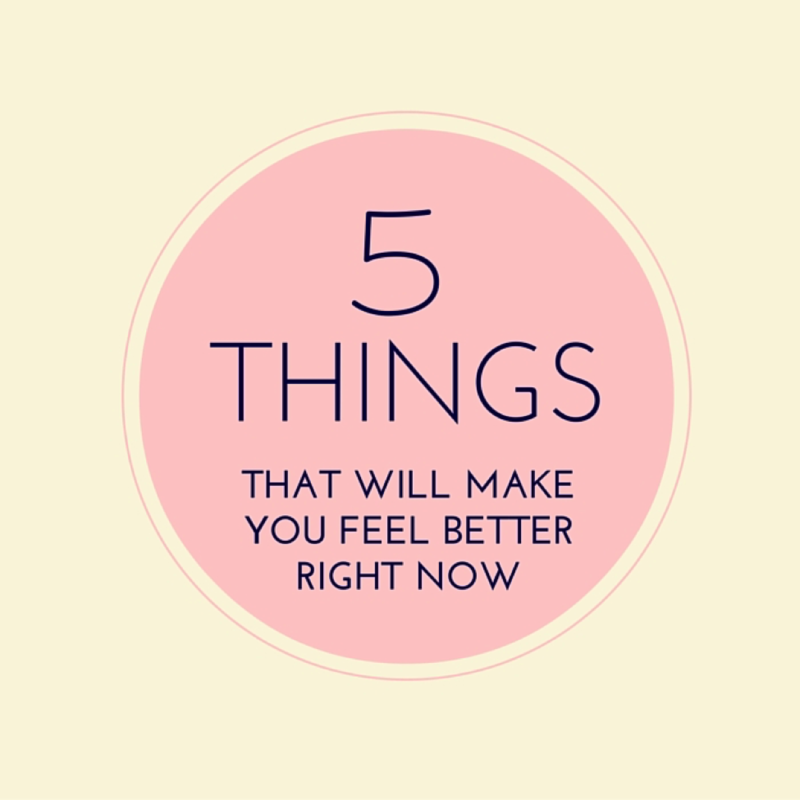 Can I just release you from feeling like you have to check off “be balanced” on your to-do list? You know what really feels good? Organizing. If you want to feel peaceful, organize something. One thing. Anything. A drawer, a closet, your pantry, your junk drawer, your purse, your KEY CHAIN...whatever one thing drives you nuts. Give some things away. Simplify. I’ve been doing this recently, and in seasons of life when you feel like the crazy could overtake you, trust me, organizing something is a free, quick, and decadent treat. 5. YOU LOOK GOOD IN CLOTHES. The last time I went shopping (for work pants, shudder), I all of a sudden took note of my mental diatribe as I browsed the store. “No, you can’t wear that, no, those will make your rear end look huge, no, those will show off your cankles, no, only skinny girls can pull that off.” What?! Do I really talk to myself like that? I literally did not look at the clothes for their style or color, or assess them based on if I actually liked them or not. I only looked at them through the lens of how they would look on me. And that made exactly zero items in the store acceptable for purchase. That’s not cool at all. First of all, it takes all the fun out of fashion. Secondly, there is no way anyone looks that bad in clothes. Have I ever seen a woman on the street (with the exception of terrible immodesty) and thought to myself, “Her rear end looks huge in those work pants?” No! News flash, I do not routinely assess other women’s butts. I recently went to a conference that had very fashion-forward attendees, and I got some great counsel before arriving: If you ask any attendee what outfits they remember at the end of it, undoubtedly most will only remember their own. Why does all fashion advice start with “Dressing for Your Body Type?” As if we’re going to offend the entire human race if we don’t get the flared-leg-to-birthing-hip ratio just right. Instead, try this exercise next time you’re at the store: Choose an outfit based on if you like it. Enjoy the fun of picking out pants, a top, a necklace, some shoes. Play with pulling a look together that you love. Make a ban on pencil skirts if you must, but worry first about how the clothes look, and second about how the clothes will look on your particular body. I’m telling you, it’s freeing! And the truth is, if it’s a great outfit, it will look great on you. How about you? Any light bulb moments lately? It’s fun when the Lord allows these little lights to shine through and give us more freedom and more grace, isn’t it? He is so good. *Facebook card by Detroit Card Co.
Posted on September 23, 2015 by Laura Irion and filed under Building Your Faith and tagged encouragment.